Ubuntu USB Drive Live and Virtualization Enabled Video Guide is the companion video guide for our guide to Run Ubuntu as Live USB or Virtualization from Pen Drive. Ubuntu USB Drive Live and Virtualization Enabled Video Guide is not independent and must be associated with the previous guide. With this trick shown in this video guide get Ubuntu USB Drive Live and Virtualization Enabled at the same time basically with a third party single software, you can carry Ubuntu and run. As said before, most Linux enthusiast knows the name of the software “ it is known as LiLi. It uses Oracle VirtualBox for Virtualization. Here is the video companion guide to Run Ubuntu as Live USB or Virtualization from Pen Drive for anyone. All points has been said before on the textual guide. There is not much need to repeat here. Only two points – just notice the file locations for virtualization purpose and actually if you have a bigger USB drive, you need not to dedicate the full space for persistent storage. Create a folder and use it for your other purpose as normal USB drive. This Article Has Been Shared 4710 Times! How To Run Android OS on VirtualBox is shown in this guide as an extended video demo intended for all users, complimentary to previous step by step guide. Risks of Server Virtualization are the increasing costs and operational risks, though Server virtualization can bring many benefits to the businesses. Thanks for the information! Site is very nice – will write it down. 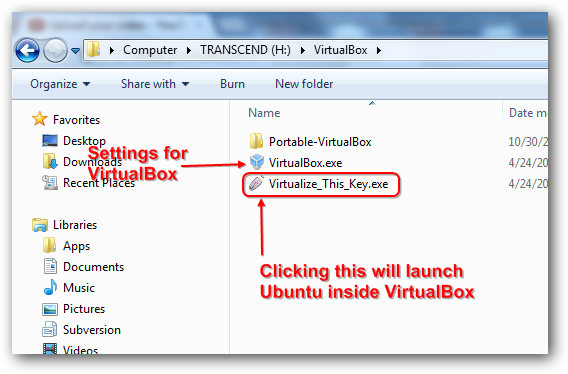 Cite this article as: Abhishek Ghosh, "Ubuntu USB Drive Live and Virtualization Enabled : Video Guide," in The Customize Windows, November 1, 2012, April 26, 2019, https://thecustomizewindows.com/2012/11/ubuntu-usb-drive-live-and-virtualization-enabled-video-guide/.